A Field Marshal is the highest rank that may be obtained by an Army Officer during his service to his country. It is generally marked by the award and presentation to him of a Field Marshal's Baton. It was Napoleon who made the comment " There is a Field Marshal's Baton in every soldier's Knapsack." Hitler in WW2 also presented the equivalent of a Field Marshal's Baton to six of his Lufwaffe officers when he promoted them to Field Marshals Luftwaffe, and to two Gross Admirals of the Kriegsmarine. This article will cover 27 German Officers, 19 Army, 6 Luftwaffe, and 2 Navy. They will appear in alphabetical order, Army, Luftwaffe and Navy, selected in that way because of the number of Officers in each arm of the Service. 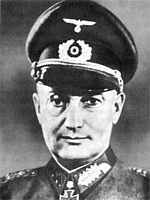 The former War Minister was arrested by the Allies after the defeat of Germany, and died in internment at Nuremberg on the 14th. of March 1946 after a heart attack. His two Officer sons died in battle, for " Fuhrer, folk and fatherland," a rather sad end for a distinguished Soldier who allowed his heart to rule his head, to pay a high price for his indiscretion. Read the article. A capable commander, but neither brilliant nor a military genius, probably unlucky to lose his command in Russia, but he had tempted fate when he defied Hitler. 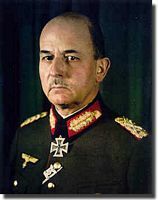 At age 64, Fedor von Bock became the only one of Hitler's Field Marshals to die from enemy fire. Read the article. 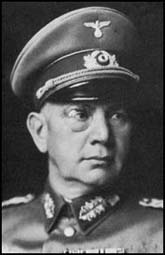 There is no doubt that Poland and its invasion was Brauchitsch's one great campaign. He certainly believed that both the Free city of Danzig and the Polish Corridor given to Warsaw by Versailles, rightfully were German territory. Read the article. Busch had fought bravely in WW1, he gained promotion by dint of his strong embracement of both Hitler and the Nazi regime. His promotion to Field Marshal probably placed him well above his level of competence. He will long be remembered as the Army Group Commander who lost the most troops on the Russian front, an appaling figure of 300,000 soldiers. Read the article. 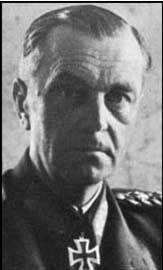 As a complete slave to Hitler, Wilhelm Keitel bowed to his every wish and command, there are no battles that he commanded to discuss, as Hitler made all of the decisions. He supported Hitler in gobbling up Austria, and in Germany's annexation of Czechoslovakia. His total subservience to his Fuerher, cost him his life, as he was hanged at Nurenberg on the 16th. of October 1946, he was 64. Read the article. A no nonsense professional soldier who served both his Country and Fuhrer with ability, he showed compassion to the conquered in Russia to pay the price later. One of the few Field Marshals prepared to stand up to Hitler and even to disobey orders if he thought it would save troops under his command, I believe he deserved a better end for his life post war than he received. Field Marshal von Kluge always tried to protect his own back, often at the expense of his subordinates. He often waited to see an outcome before he jumped in with a decision. As a WW2 General and Field Marshal he had his share of success in Poland, France and Russia, but also he made a number of serious errors of judgement. Read the article. One of Hitler's lesser known Field Marshals, certainly from a Western viewpoint. His two career peaks probably the taking of Paris in May of 1941, and being elevated to a Field Marshal in June 1942. Unlike some of his contemporaries, he did stand up to Hitler for the lives of his troops when retreat was the only option. Read the article. Unlike some of his contempories there was not a breath of scandal uttered about him. He appeared to be a dedicated soldier whose talents as a defensive expert were not used when they were most needed. Sometimes in Russia he may have tarried when attack was the needed decision. von Leeb comes across as a decent Officer and gentleman, who probably did not deserve a three year prison sentence. Read the article. He was amongst the most capable and successful of Hitler's Field Marshals, but was not given the kudos he deserved, he had served his Fuerher with dedication and ability. He was a most underrated officer whose diplomacy with his subordinates paid big dividends. Given that both his natural and step father were Generals it may well have been expected that young Erich would walk in their footsteps to serve in the Army. 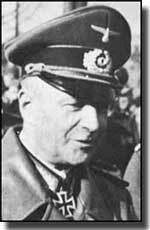 There can be little doubt that of all Hitler's Field Marshals, Erich Manstein was the best and most brilliant. Model was the Field Marshal that Hitler always sent for when the going was really tough, his contemporaries in the Army are usually associated with a particular campaign, eg, Rommel with North Africa, and Paulus with Stalingrad, but Walther Model was used in areas that were critical to the regime. He earned the nickname of " Hitler's Fireman. " Read the article. 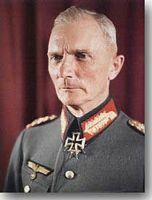 Promoted to Field Marshal in unusual circumstances, and made Military history by being the first to hold that rank and be captured, never to be forgiven by Hitler. Read the article. He is not easy to evaluate as an Army Commander only commanding at the highest level for some six weeks, hardly enough time to soberly judge him. He was not one of Hitler's compliant Field Marshals, but he was intelligent, ambitious and ruthless in pursuit of his career and promotion. Read the article. Bibliography for Hitler's Field Marshals. Attard, Monica. Russia. Which Way Paradise? Doubleday. Moorebank. NSW. 1997. Beevor, Anthony. Stalingrad. Viking. London. 1998. Bullock, Alan. Hitler. A Study In Tyranny. Oldham's Press Limited. London. 1953. ------------------ Hitler And Stalin. Parallel Lives. Fontana Press. London. 1993. Davies, Norman. Rising '44. The Battle for Warsaw. Pan Books. London. 2004. Ferguson, P. Darkness in Paris. The Allies and the eclipse of France, 1940. Issue 69 May/June 2005. Beaumont Publishing Limited. Cheshire, England. Hosking, Geoffrey. Russia And The Russians. Alan Lane The Penguin Press. London. 2001. Kershaw, Ian. Hitler. 1889-1936. Hubris. Alan Lane The Penguin Press. London. 1998. -------------------Hitler. 1936-1945. Nemesis. Alan Lane The Penguin Press. London. 2000. Lewin, Ronald. 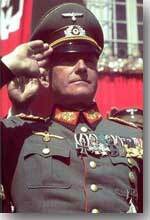 Rommel As Military Commander. Barnes and Noble. New York. 1968. Margry, Karel. The Flensburg Government. After The Battle. pp 2-27 Number 128. Battle of Britain International Limited. Essex. England. Mitcham, Samuel W. Jr. Hitler's Field Marshals. And their Battles. Cooper Square Press, New York. 2001.Montefiore, Simon Sebag. Stalin. The Court Of The Red Tsar. Weidenfeld and Nicolson. London. 2003.Radzinsky, Edvard. Stalin. Hodder and Stroughton. London. 1996. Read, Anthony. The Devil's Disciples. The Lives and Times of Hitler's Inner Circle. Pimlico. London. 2004. Richardson, Rosemond. The Long Shadow. Inside Stalin's Family. Abacus. London. 1994. Toland, John. The Last 100 Days. Arthur Barker Limited. London. 1966. Speer, Albert. Inside The Third Reich. Cardinal. London. 1973. ------------------ Spandau. The Secret Diaries. Fontana/Collins. Glasgow. 1976.
van der Vat, Dan. The Good Nazi. The Life And Lies Of Albert Speer. Weidenfeld and Nicolson. London, 1997.